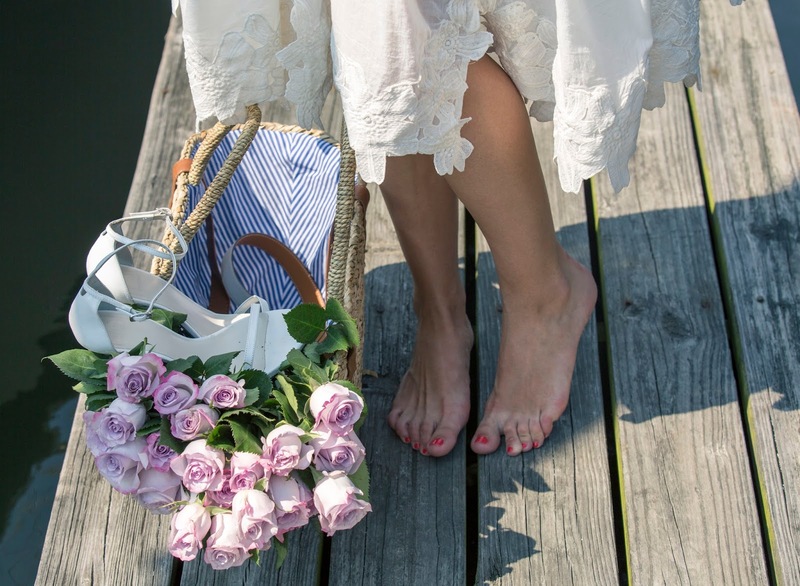 The pure white dress for the first day of vacation and a short boat trip in Long Island. So exited about all of those things! Exclude the weather… It’s so incredibly muggy and hot out… Not sure why I even bother to do my hair or make up… Just saying! Anyway the most important thing in this case is choosing the right outfit! This flare H&M dress is such a cool material and really comfortable in this temperature. 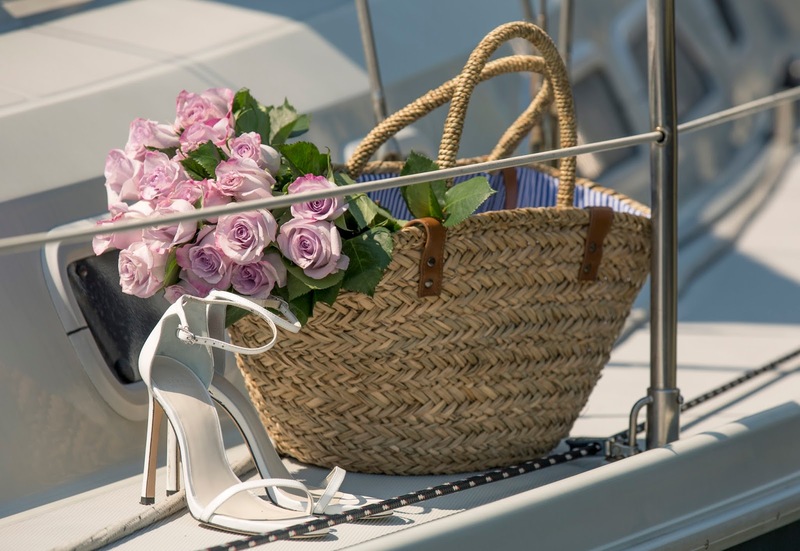 I paired it with my Stuart Weitzman sandals to keep it clean and a classic straw basket bag full of roses to add a little something to the look. Hope everyone has a great weekend, love you all! Muah!